Work started this week on Marlborough’s new filling station and convenience store, with the town’s mayor cutting the first turf to kick-off the £2 million construction. 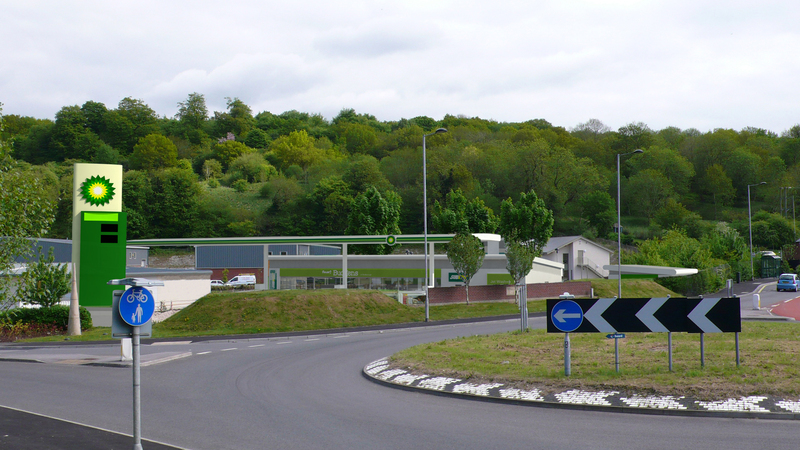 Contractors are expected to be on site for 12 weeks, after which the town will have a filling station to service eight cars at a time, Budgens convenience store, Subway food outlet, and car washes. 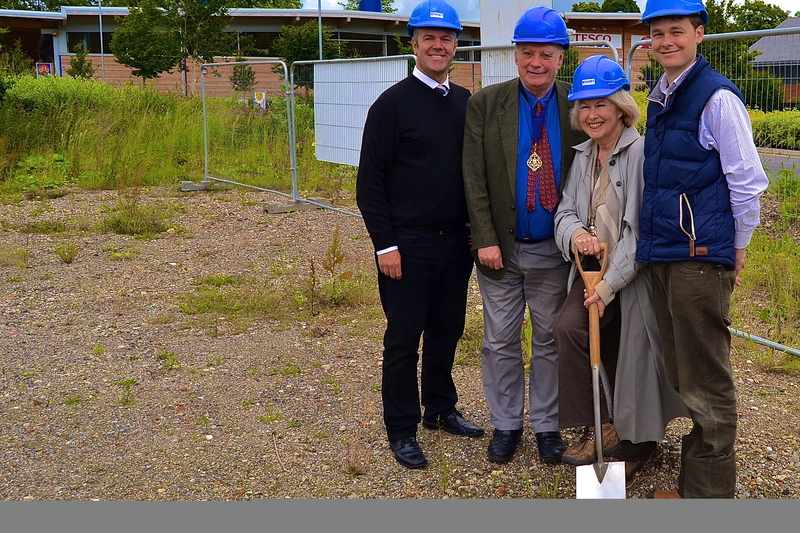 At a turf cutting ceremony, Marlborough’s first citizen, Edwina Fogg, said: “As mayor, I would like to say how thrilled I am about the new Fraser’s Budgens of Marlborough development coming to the town. For group operations manager Mark Wilson, the sight of diggers moving onto the Marlborough Business Park site was the culmination of a decade-long dream. “We’ve been trying to get into Marlborough for some time; probably ten years, and we’ve finally made it,” he said. Shops development manager Nick Fraser explained exactly what customers would find when the business opens its doors on Thursday, October 4. “There will be a large BP forecourt, a Budgens convenience store and a Subway food outlet. There will also be a rollover car wash and two jet washes. “We will be working with local producers and suppliers, and we are involving ourselves massively in the local community,” he said. The company recently launched a £6,000 Community Giveaway, and invited organisations and good causes in the Marlborough area to compete for grants of up to £1,000. The winners will be decided by public vote on Thursday, September 27 at an event at Theatre on the Hill, St John’s School, Marlborough. The Fraser Group is a third-generation business with a string of awards to its name, including Best Forecourt Independent Retailer, a national title which it has won three times. The Marlborough filling station will be Frasers’ sixth site.